Food waste is a major concern among foodservice operators. Not only is it an expense that eats (no pun intended) into profits, but it’s also difficult to manage. However, with some forethought, operators can make inroads to reduce this operational cost. Here are three strategies. It’s a part of the business that some food items are more popular than others. But while operators can’t change customers’ preferences and tastes, they can get a better sense of what sells and what doesn’t. Taking regular inventory—once a week is ideal—of all food, beverages and serving supplies is a good way to do this. When conducting an inventory, it’s easier to understand better what is being used, lost or even stolen. This knowledge will help operators order supplies more intelligently. Along these lines, managers can also conduct a food waste audit. Staff can be instructed to track what is being thrown out on a daily basis. As part of a food waste audit, it’s key to know what consumers are ordering and not eating and how much traffic a restaurant is experiencing at any given time. This provides information for ordering on a weekly basis and throughout the year. Smart ordering also entails an awareness of food prices. Operators would be wise to be well acquainted with food prices and price fluctuations of fruits, vegetables and other ingredients throughout the course of the year and from one year to the next. As a way of taking stock of this, they can review expense reports to determine an optimal price for the food item. When the price for that ingredients gets to the optimal cost, they can buy in bulk and feature these items front-and-center on the menu. When prices rise, managers can reduce orders of these and make these items less prominent on the menu. 2. Reduce waste where possible. As important as it is to track food items, equipment also can play an important role in the waste reduction process. 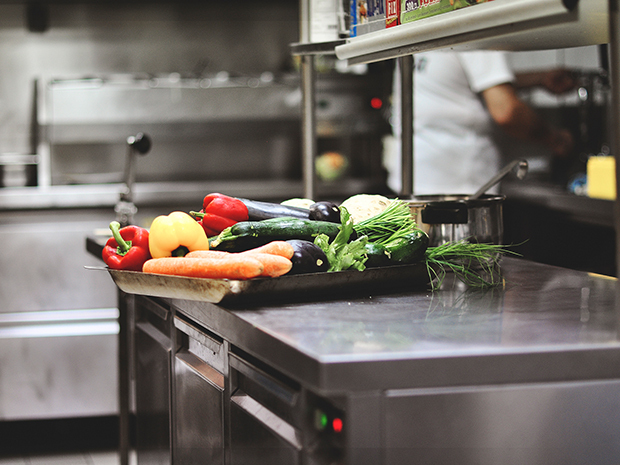 As an example, cooking oil is one of the most expensive components of food preparation but with a monitoring system it can managed easily to prevent over or under usage protecting your food quality as well as your bottom line. Restaurant Technologies’ Total Oil Management solution offers a way to easily handle cooking oil and lower the cost of using and managing this often-messy ingredient. The automated solution tracks the frequency and duration of filtration activities and oil usage. Any deviation from the standard schedule will prompt an email alert which ensures managers are always aware of when cooking oil may be going to waste. Decreasing waste is truly a team effort. The whole house should be aware of what ingredients cost. And proper preparation techniques can make all the difference in waste reduction, so staff should be educated on proper portions of items such as garnish for salads and desserts. Also, waitstaff can help the cause by recommending certain items to guests to help move a particular product. Finally, when there is food leftover that cannot be used again, managers can consider donating it. The Feeding America program and food banks may be willing recipients. And if there is a small amount of an ingredient left that managers don’t know what to do with, they can consider giving it to the staff. Employees certainly will be pleased. And, at the end of the day, who wants good food to go to waste?